Instead of adding another bookcase or cabinet to take up even more space in an already tiny room, consider adding shelving above your existing built-ins, going all the way up to the ceiling. You can take advantage of this ‘dead’ space with cute baskets or bins, where you should store rarely-used items such as off-season apparel and accessories (i.e. gloves and skiing gear), camping equipment, etc. Make the most of your closet space by adding shelves or even a dresser below your hanging items, so that you have even more storage space. The laundry room is a very busy place when you’re doing chores, but it’s also a very underutilized space a lot of the time. Maximize your work space with a front-loading washer and dryer, topped with a counter for stain treating, sorting, and folding. And look for space savers that offer functional versatility, such as a drying rack that unfolds from a wall mount – it’s tidily put away while you’re working, but dries delicate clothing safely when it’s stretched out and you don’t need to use the room. Take Advantage of Nooks & Crannies. Even with the most thoughtfully designed floorplan, every home has a few spaces that are underutilized. For example, many homes have space underneath the stairs that can be converted into fantastic storage areas. Also, most older kitchens have odd-shaped cupboards that don’t offer reasonable storage space for pantry foods or crockery, so you can convert them into tall slide-out drawers for quick, convenient access to spices, canned foods, and baking ingredients. Looking for more ideas? Don’t miss Elle Decor’s small space solutions collection and 9 rules you should break in a small space. With winter warming up and the sunshine making its yearly debut, it’s time for spring cleaning. A clean sweep of your home can work wonders not just for drawer space and interior aesthetic, but for your health and wellness in general. Shifts focus to what matters most. Less stuff means that you can focus more on the task at hand, or more important matters than the inanimate objects around you. Cleaning your space will bring clarity and allow you to trust your intuition as you realize what is and is not necessary in your life. Resolves personal issues. Digging through old stuff is like sorting through your past. Clutter can bring up emotions and memories that have stuck with you, and each one you confront will make room for new beginnings. Brings balance. Clutter is like a blockage in your home’s feng shui. When it’s removed, positive energy can flow more freely, making room for re-arranging and fresh thinking. Gives you more time. One mass cleaning will eliminate to do so again in the future. Less stuff means less things to tidy up, allowing you to run your household more efficiently. You’ll be able to get things done rather than getting distracted with unwanted clutter in your way. More space. This one is obvious but one of the best reasons to spring clean—create more room! Make the most of the space you have by ridding it of unnecessary items. Re-arranging and re-decorating will give your home a fresh, clean feel before summertime. Makes you happier. Don’t become a hoarder. Letting go of things you don’t need in your life will feel like a weight off your shoulders and help you breathe easier. De-cluttering also sets a great example for your children to show that material items are not crucial to a happy life. Wallpaper: Is It Out Of Style? Interior design trends come and go, but wallpaper is one that continues to stick around. The popularity of wallpaper reached its peak in the early 19th century with the invention of machine printing. It began, as most hot new items do, as a quite luxurious product for wealthier homes, but soon became mass produced and widespread in interior décor. Classic wallpaper styles were generally elaborate and almost gaudy, like a paisley pattern that would be in your grandma’s house. Once it became commonplace in working class households, wallpaper was no longer all the rage, and its popularity began to fade along with its physical lifespan. Applying wallpaper is difficult. Aligning patterns, wrestling with rolls of sticky paper, and pressing onto the wall without lumps is nowhere near as simple as painting a wall. Perhaps the tricky application process contributed to wallpaper’s decline in home design, or perhaps it was the out-of-date patterns that turned people off. But like most lifestyle trends, wallpaper has made a comeback with a modern twist. Back in the day, wallpaper was used as a background to a room, whereas it is widely used as a foreground now. Bold colors and patterns can act as the focal point of a space with little need for more wall adornments. Today’s wallpaper styles are less about looking luxurious and more about working with other elements in the room. It also doesn’t have to be so bold that it takes over a room—many interiors utilize wallpaper with subtle patterns and neutral colors. So, is wallpaper out of style? While the medium itself has re-gained popularity, the old fashioned patterns seen in many mid-19th century homes are no longer all the rage. Depending on how you use it, wallpaper can be contemporary and stylish. Check out our work to see how we’ve used wallpaper to create beautiful spaces! Minimalism. Nothing is the new something when it comes to decorating. We’re constantly seeing blank walls and empty corners rather than full. The minimalist trend allows a space’s natural curves, architecture and lighting speak for itself, ridding the need for excess embellishment. Geometrics. Triangles and polygons are everywhere in design at the moment. We’re seeing geometric shapes in everything from a single piece of wall art to patterns in backsplashes and flooring. Leafy greens. House plants have long been a finishing touch in interior design, but the popularity of these potted life forms significantly increased in 2015. Plants are integrated into so many photo spreads, catalogs and inspiration boards that they seem almost second nature in modern room design. A simple vase of flowers is no longer enough—think small trees, large palm leaves and hanging pots overflowing with leaves. Warm metallics. The popularity of copper, brass, and rose gold will continue into this year. From Moscow Mule mugs to bathroom shelves, these warmly toned metals are a stylish juxtaposition to natural materials like wood and stone. Metallic materials are a great investment because they’ll last—both in quality and style. Retro style. 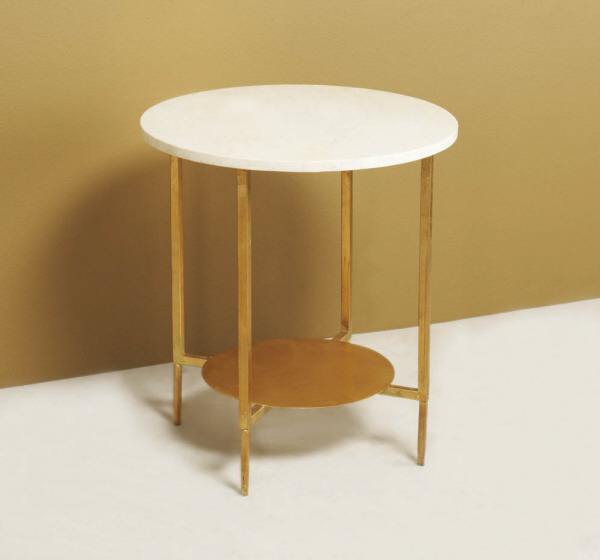 Furnishings are dipping back to decades ago with 1960s-70s design elements. Perhaps it’s a nostalgia for the quirky mid-century design era or an escape from today’s increasingly digital world, but whether we like it or not, the ‘70s are here to stay. What interior design trends are you excited to see in your home this year? Leave us a comment to let us know! The language of color can be tricky to speak, especially in the interior design industry. Communicating colors with clients is one of the most difficult aspects of a designer’s job—everyone sees shades and tones differently, especially across a wide variety of materials (paints versus fabrics, etc). That’s why Pantone® is such a valuable resource for all types of designers and printers around the world. Rose Quartz (Pantone 13-1520): A gentle, persuasive pink that conveys composure and compassion. Serenity (Pantone 15-3919): An airy, weightless blue that evokes relaxation in tough times. The combination of Rose Quartz and Serenity represents the mindfulness and well being that people are seeking among their everyday stresses. These soothing colors are quite toned down from strong, bold Marsala, the 2015 Color of the Year. 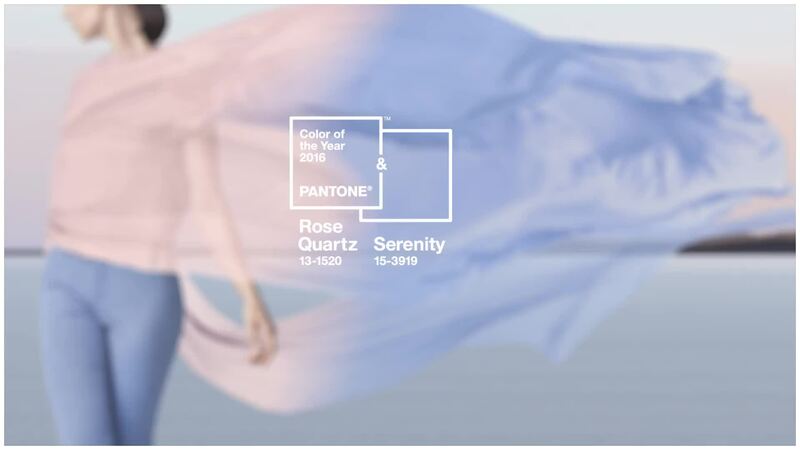 “Joined together, Rose Quartz and Serenity demonstrate an inherent balance between a warmer embracing rose tone and the cooler tranquil blue, reflecting a connection and wellness as well as a soothing sense of order and peace,” said Executive Director of Pantone Color Institute Leatrice Eiseman. The two colors also represent blurred gender lines in fashion, design and culture as a whole, in which color usage is shifting from being so black and white (no pun intended) when it comes to gender roles. As always, we’re excited to see what trends in interior design the new Color of the Year brings—especially with two colors for 2016. Bring it on, Rose Quartz and Serenity! Pops of color. Bust the winter blues with bursts of warm colors. 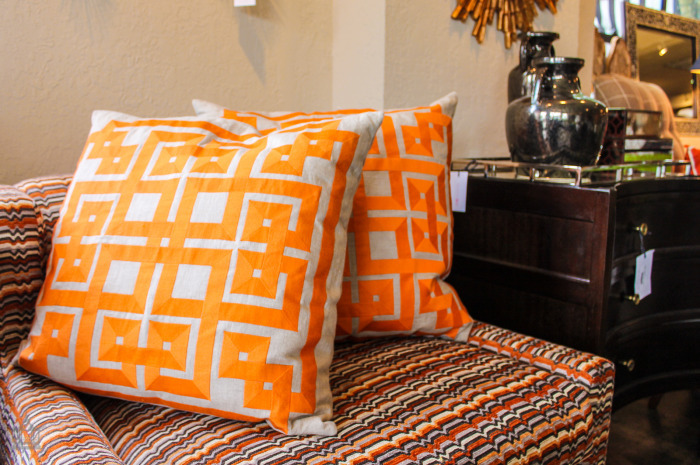 Incorporate sunny hues into your décor with bright pillowcases, accessories, artwork and rugs. Color evokes mood, so it’s a simple way to instantly make a space happier. Capture the sunlight. Keep blinds and curtains open during the day to welcome in the little sunlight that might shine through—white or light-colored curtains are your best bet. Keep it cozy. Layer your couches, chairs and beds with pillows and oversized blankets. A snuggle-ready room will keep you and your family cozy all winter long, no matter how cold it is outside. Summer scents. Light candles that smell of coconut, an ocean breeze, or tropical fruits. A strong scent can immediately trigger thoughts of a faraway place or summery scene. Use patterns and texture. A room that is busy with bold patterns and interesting textures feels fuller than one that is stark and white. Bedding, rugs, and shams with pattern will aesthetically fill a space, making it look and feel cozier. Flower power. Pick up some eye candy at the farmer’s market or grocery store. Fresh flowers bring life to any space, especially when your garden is asleep for the winter. Bonus points for bringing them home to your wife or husband—something you both can enjoy! Check out some GR Interiors projects for some sunny décor inspiration, and contact us for an interior design consultation that will help your home beat the winter blues! Rearrange with entertaining in mind. This is the time of year when you’re probably going to have the most foot traffic. Even if you aren’t hosting several holiday parties and events, you will likely be hosting at least one relative or guest. Look at the main areas of your home where guests will be (such as the living room and kitchen), and rearrange furniture to be more conducive to foot traffic. Give your house a good deep clean. Before the holiday craziness arrives, now is an excellent opportunity to give your whole home a deep-clean. It may take some time, depending on the size of your home, but you will feel accomplished and ready to take on holiday entertaining and busyness with completely fresh, clean living spaces. De-clutter and organize. With all of those holiday decorations about, your normal décor is probably going to make things look disjointed and cluttered. Put away the extra tabletop accessories and accents to make room for your holiday decorations, while clearing up as many surfaces as you can (tabletops and dressers). Spruce up the guest space. Houseguests can be a joy and a hindrance, but they deserve to feel welcome and comfortable throughout their stay. If you have guests coming to stay with you this holiday season, go a step further than merely tidying your guest room and making the bed with fresh sheets. Make them feel all the more special with some personal touches, such as a candle in their favorite scent, storage space for them to unpack, and maybe a little spa kit to relax. Clean, dry and store your outdoor furniture. 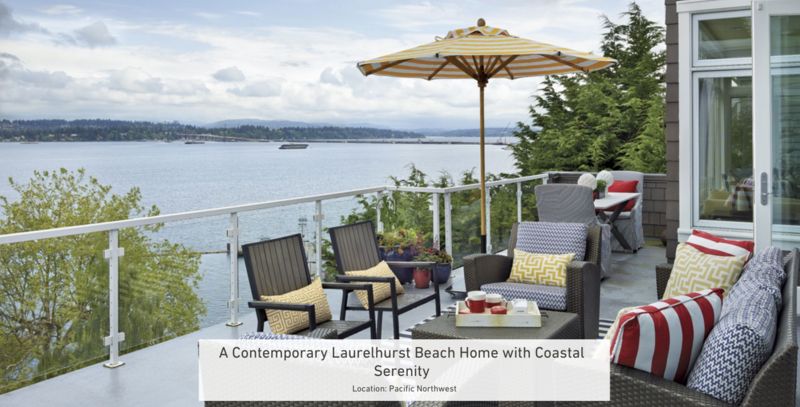 It’s only going to get wetter, so it’s best to bring your outdoor furniture into your garage or storage area to prevent the damage that leaving it out all winter will bring. This is particularly important with wood furniture, which can warp, split or decay if left out in the elements. White on white. Fresh, clean, and sophisticated to boot, the white-on-white look is brightening up spaces everywhere. And with the gloomy winter season upon us, there’s no better time to illuminate your living space with refreshing white tones. Glamour. Sofas and chairs with curvy lines and upholstered with luxurious fabrics, and elegantly sleek furniture pieces with a tuxedo-like color combination are on-point. Malachite is also a fabulous material for jazzing up a space with glamour. Metallic leather. Chic, eye-catching and fabulous, furniture that is upholstered with metallic leather is on everyone’s radar this season! It’s that extra kick of shimmer that any room could use to brighten things up and get some glam going. Bold patterns. With audacious appeal and stage-setting panache, bold, graphic patterns are making a statement this season. 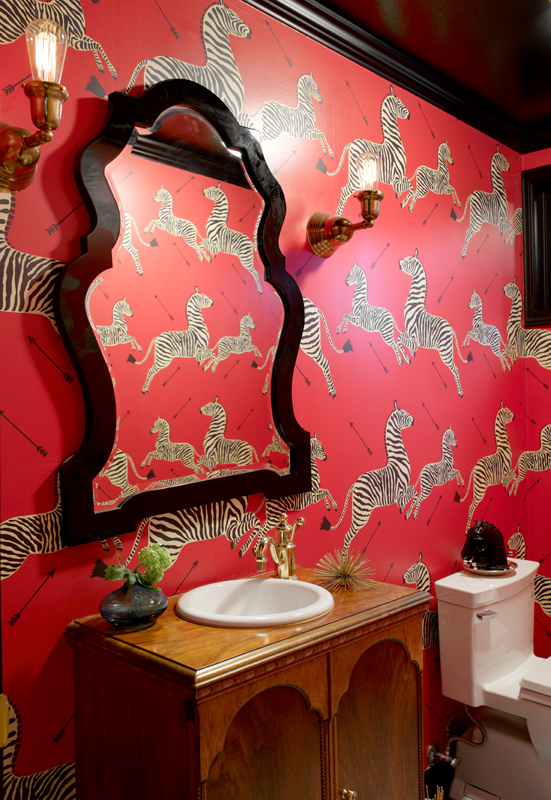 Deck the walls with zebra, ikat, Asian prints, and quirky graphic wallpapers for a stunning setting. Bright with black. If you’re at all familiar with GR Interiors and Graciela’s style, you know how much we love using black as a bold accent – on a wall or otherwise. For Fall 2015, it’s becoming more and more fun to contrast vivid bright colors on a sleek black backdrop. Chunky accessories. It is the season, after all, for cozy throws to keep you warm. Get comfy with fashionably chunky knit throw pillows and accent blankets for a look that’s textured and modish as well as cozy and welcoming. Pleats. Whether they’re in the force of stacked creases or complimenting a sofa’s simplicity with discreet box pleats, these fresh, cute tucks and gathers are just the thing to add a bit more stylish flair. Ribbed accents such as throw pillows are also totally vogue. Be mindful of the reflection. Don’t place a mirror somewhere that will reflect clutter or a dead space, but rather a nice feature or piece of furniture. Placing a mirror on the opposite wall of a beloved work of art creates double the view! Don’t put mirrors on the ceiling. It’s tacky. Keep mirrors limited in the kitchen, where there are many shiny appliances and generally plenty of light. Horizontal mirrors work well in staircases or hallways, creating a nice flow between rooms and widening the space. Make a mirror the focal point of a room with a bold, decorative frame. 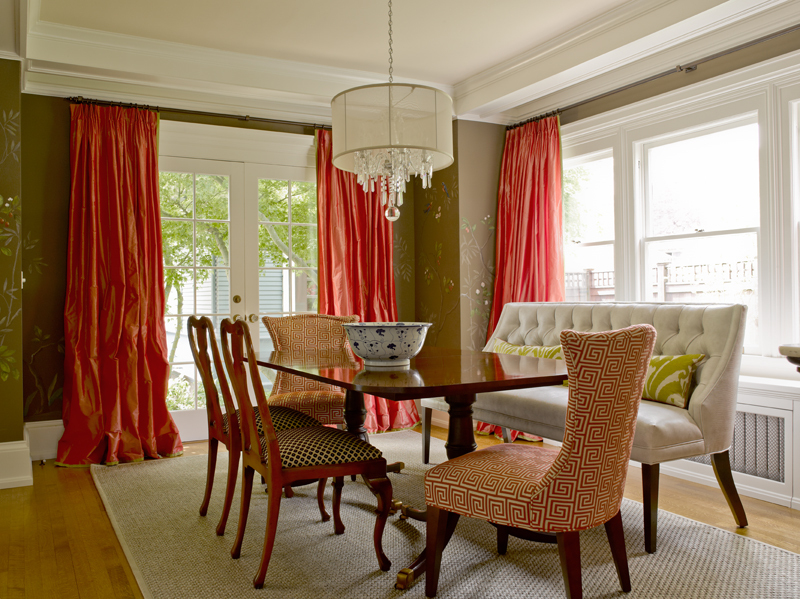 A long, thin mirror makes for a great table runner in the dining room. Set candles, plants and vases on top for a unique centerpiece. The classic mirror trick is to make a room seem larger. Use a sizeable mirror in a small area, either nailed into the wall or propped against it, to instantly open the space. Setting a mirror behind candles will create a nice, soft light. Let a mirror act like another window. If a room has great natural light, show it off with mirrors that reflect it throughout the space. Mix and match mirrors on the same wall. Use various frames, shapes and sizes to make an interesting pattern for the eye. Is decorating with mirrors still a mystery to you? Let us help with your next interior design project! ©2012 GR Lifestyle Co. All Rights Reserved.